9::56. 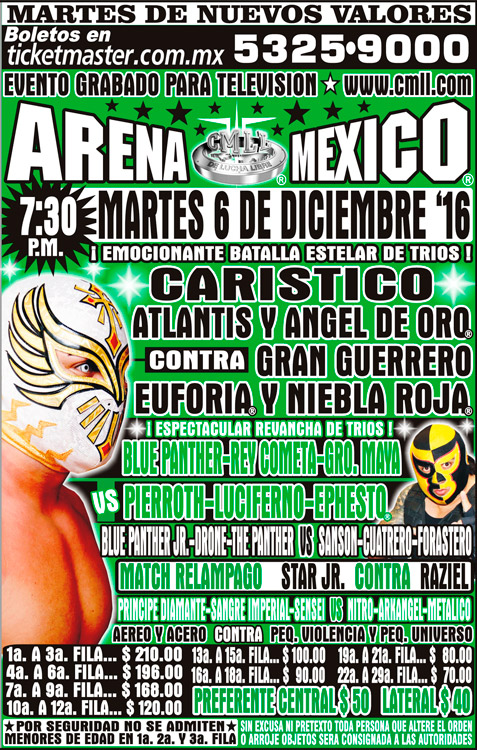 Tecnicos took 2/3, Pequeno Violencia was terrible. 18:52. Rudos took 1/3. Robin replaced Sensei on Monday Inquisidor replaced Arkangel. 8:16. Raizel submitted Star Jr.
8:26. 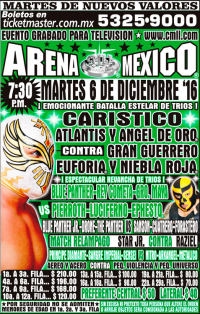 Tecnicos won in straight falls, the last when Ephesto unmasked Maya to set up a singles match.